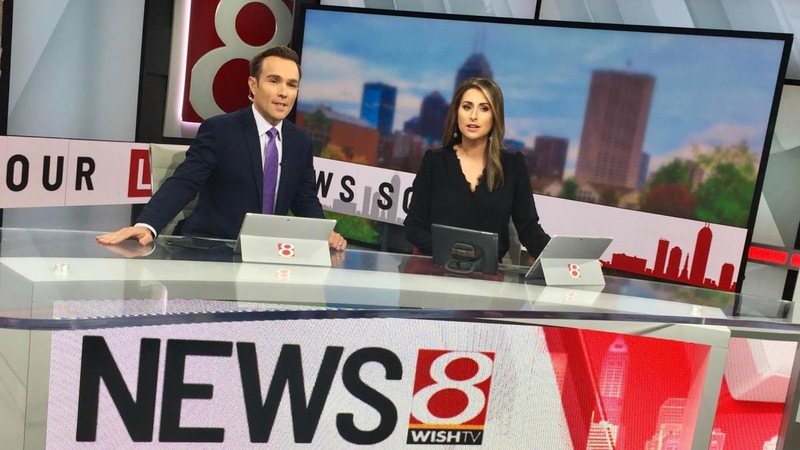 My name is Phil Sanchez, I'm a news anchor at WISH-TV in Indianapolis, Indiana and I have Keratoconus. My battle began 10 years ago. I was struggling to see... the teleprompter was blurry, my night vision was declining and sunlight became my kryptonite. It was time to go to the eye doctor. Two optometrists and an eye specialist later I was diagnosed with Keratoconus. Both eyes were bad, I was prescribed RGP contacts and told there was not much else I could do. It would only get worse. 10 years later... I can see news copy in our teleprompter a little bit better but sometimes it's a real struggle, my contact lenses might be foggy that day, or the studio lights might be angled in a way that hits my eyes like a linebacker tackling a quarterback. I can't leave the house without sunglasses, and night driving has become increasingly worse, increasingly more dangerous. I try to stay positive and remind myself that there are people in the world that are a lot worse off. But the thought of losing my sight is scary. This year, my Doctor recommended that I try scleral lenses. They're expensive, $1500 (including the fitting session), but they work better for me than RGP lenses. They're more comfortable and they don't shift when I blink. But my sight is still not great, and probably never will be. I've learned to live with it, and have found ways to get around it. What will I do for a living if I can't read the news? 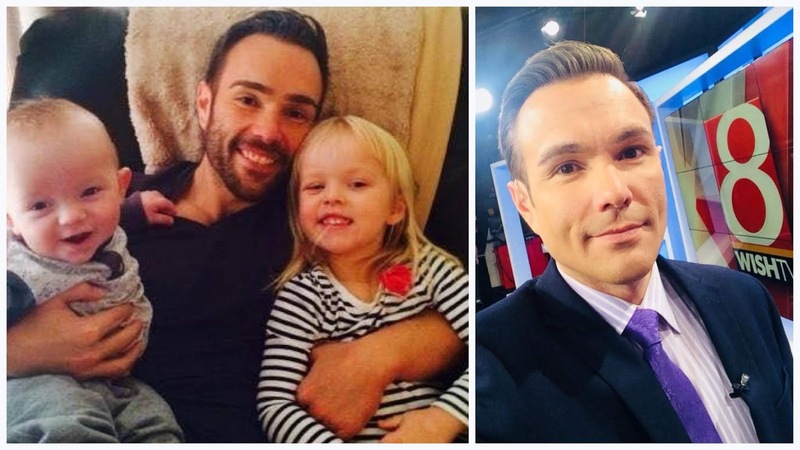 And more importantly, what will it be like if I can't see my two children (7 and 4) grow up? Those are the questions that I often ask myself. For people who don't have Keratoconus, it's hard to understand how life altering Keratoconus is. Maybe there will be a cure for us one day, but until then we just keep moving forward. Thanks for sharing your story. I recommend cross linking surgery to stop the KC progression. I had it done two years ago and have not seen my KC worsen since then. 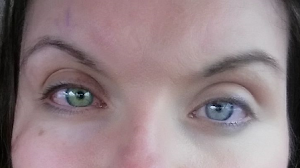 I also had crosslinking done in both eyes. It stopped the progression of keratoconus. It also thickened my corneas enough that I was able to have a PRK laser surgery done on my worst eye. I went from basically blind in that eye to about 20/30 vision without glasses or contacts. I love the colour of your eyes. World Through Keratoconus Patients' Eyes! Keratoconus; or why I wear my sunglasses at night. Thousands of Contributors, Patients and Doctors. Copyright © 2013-2018 KeratoconusGroup.org, All Rights Reserved. The information contained on this website is intended solely for general educational purposes; it is not intended nor implied to be a substitute for professional medical advice relative to your specific medical condition. Always seek the advice of your personal physician or other qualified health provider prior to starting any new treatment or with any questions you may have regarding your medical condition.